Work was carried out on more than 410 properties in Mid and East Antrim during the first two years of a scheme to tackle fuel poverty, councillors have been told. The ‘Affordable Warmth Scheme’ was introduced by the Department for Communities and delivered in partnership with local councils and the Northern Ireland Housing Executive. It targets areas of severe and extreme fuel poverty and replaced the Warm Homes Scheme. The Affordable Warmth Scheme provides a package of energy-efficiency and heating measures, tailored to each household. Members of Mid and East Antrim Borough Council’s Operational Committee were given an update on the scheme during a recent meeting. They were told that during the first year of the Affordable Warmth Scheme, from 1 April 2015 to 31 March 2016, 189 homes were helped. Between 1 April 2016 and 31 August 2016, a further 221 homes were given assistance. Chairman of Mid and East Antrim Borough Council’s Operational Committee, Alderman John Carson, said: “All councils were issued with a list of addresses in their areas and this was used to target resources. 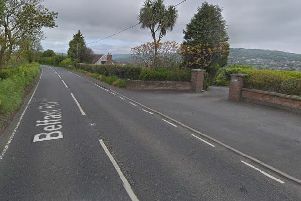 “The addresses cover properties across Mid and East Antrim, including Ballymena, Carrickfergus and Larne. Elected Members in attendance at the last committee meeting, on Monday 10 April, agreed that Council should write to the Department for Communities seeking assurances regarding future funding. This will be brought before Full Council soon. To be eligible for the scheme, an occupier must own or privately rent a property and have a gross annual household income below £20,000. In the case of privately rented properties, landlords must be registered with the Department for Communities’ Landlord Registration Scheme, give consent for any energy efficiency improvements to be done and contribute 50% of the cost of the work. Once eligibility is confirmed by Council’s Affordable Warmth surveyors, complete applications are forwarded to the Northern Ireland Housing Executive to be processed. Once the Housing Executive has given written approval for the energy efficiency work to be done, residents can either arrange for an installer of their choice or select one from a Housing Executive list to do the work. When the Council’s Building Control department certifies the work has been completed to Building Control Regulation standards, the Housing Executive will arrange for payment to be made. There is no limit to the amount of money available for each energy efficiency measure, there is only the grant maximum per property. The advisory visit carried out by Housing Executive at each property will determine the best energy efficiency solution depending on the specific requirements of the dwelling. The maximum grant offered will be £7,500 or, if solid wall insulation is to be installed, then the grant limit will increase to £10,000. For more information call Mid and East Antrim Borough Council on: 0300 124 5000.